It's not just Arthurian-age figures that are now available from Warlord Games. 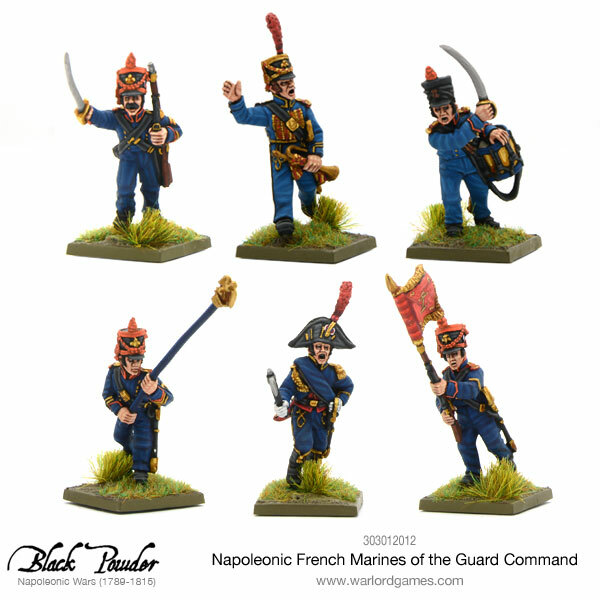 They're also offering new Napoleonic figures in the form of French Marines of the Guard, plus their commanders, over on their website. If you'd like to add to your Black Powder forces, now's your chance to add some of the most fearsome fighters in the French Forces. 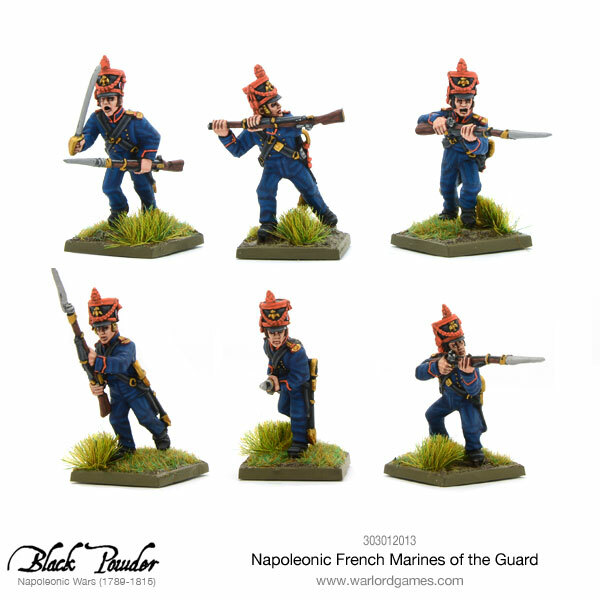 Tough as nails, face down your enemies with the new Napoleonic French marine of the guard. Raised on 29th of July 1804 as the Bataillon de la Marine Impériale at a strength of the staff (four) and five Equipages (companies) each of 16 officers and NCOs, a drummer or trumpeter and 125 men. 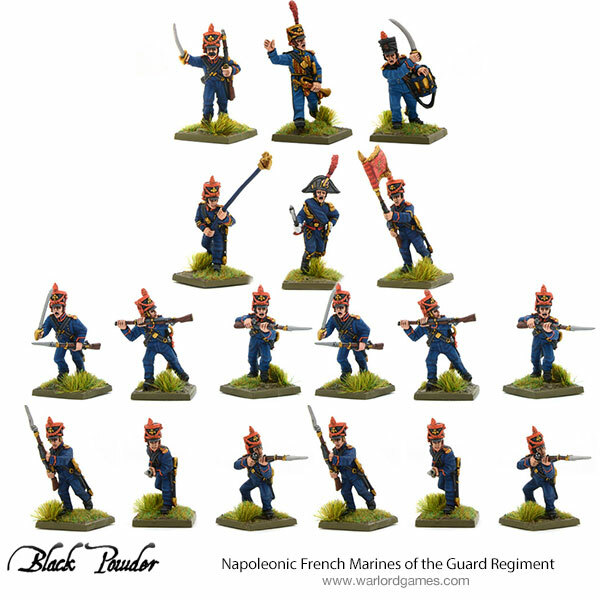 Troops like this can be classified as Skirmishers in the Black Powder game. Napoleon considered them some of the best troops as they were not only trained as infantry but as artillery crew as well. The Sailors of the Guard were commanded by Rear-Admiral Baste from 1809 until he was killed at Brienne. They continued and saw action in Austerlitz, Bailén and Beresina.